A great week of racing i Holland, although not with the greatest weather. Kirsten won the peloton sprint for 3d on stage 3, after a break of 2 riders succeeded to trick the peloton. 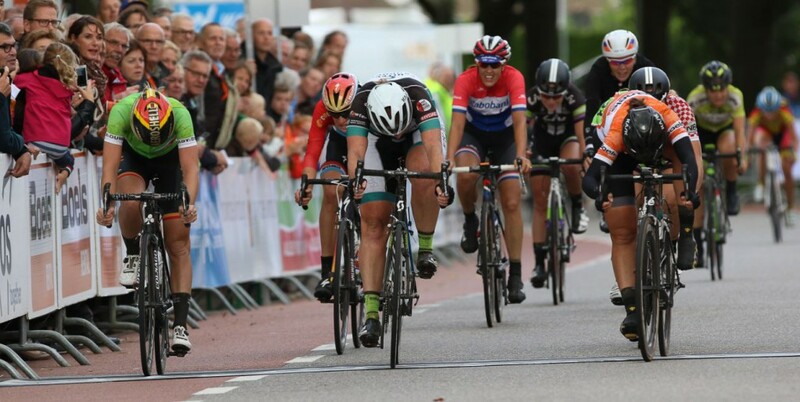 On the Saturday in Gennep Kirsten was incredibly close of winning but Brennauer passed her in the last 2 meters. For the final stage Tatiana got in a strong break of 11, unfortunately the group was caught back by the Boels Dolmans team, so De Jong (Rabo) won the stage and Lisa Brennauer (Velocio) won overall .